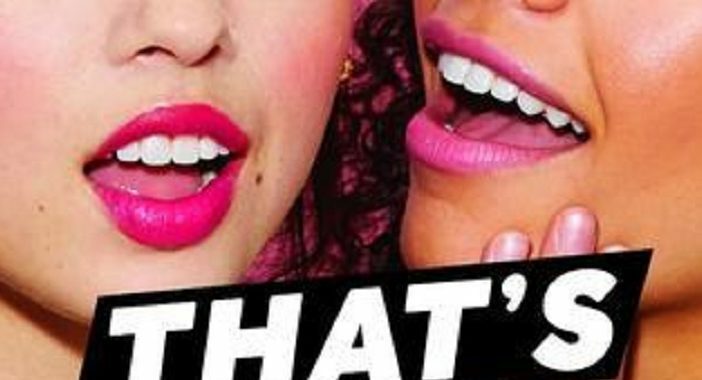 That’s Not What I Heard by Stephanie Kate Strohm is a rare case of where the title, cover, and story perfectly match each other, turning what would normally be a nightmare–a public high school breakup–into a cute and funny read. In William Henry Harrison High, Kimberly Landis-Lilley and Teddy Lin’s relationship is accepted as fate. From the time when they met and became friends at age six to the day Teddy and Kim finally started dating, the two of them together were always a given. But, on one historical trip to the school vending machine, they suddenly weren’t together anymore. Phil Spooner, a bystander to the breakup unexpectedly found himself in possession of the hottest piece of news in WHHH history. Now, rumors are rife as to the reasons behind the split, and everyone (even the teachers!) are picking a side to support–Team Kim or Team Teddy. All the while Kim and Teddy are trying to navigate their lives as normally as possible, the entire school spirals out of control around them. Even though there were a vast number of characters introduced and narrating in the book, they were extremely easy to distinguish and love. Each person’s POV serves as clues to learn more about the other characters until we can get a complete image on what type of person each character is. The interactions between friends and family were accurate and humorous at the same time, which is impressive since there were more serious themes of self-discovery and coming-of-age sprinkled throughout. Kim and Teddy’s relationship was more reminisced upon than built upon, and while it lacked heat, I think the comfort that the two demonstrate shows a real facet to long-term dating. I also liked the headstrong loyalty Jess Howard (Kim’s best friend) reveals in wake of the school-wide debacle. She’s the ride or die bestie we all wish to have, and seeing her absolute no BS attitude is refreshing. The plot is what I would describe as a classic poolside book to chill with. The book is cutesy, light, and easy to fall into which should be a welcome relief to anyone who has found themselves trudging through elaborate fantasies or heavy fiction. Stephanie Kate Strohm doesn’t hold back on the drama and gets right down to business with the sudden explosion of ludicrous rumors. Just the split between the student body into Team Teddy or Team Kim is already hilarious enough without adding in the weirdness only high-schoolers can pull off. Be sure to pick up this book for a quick and easy read! 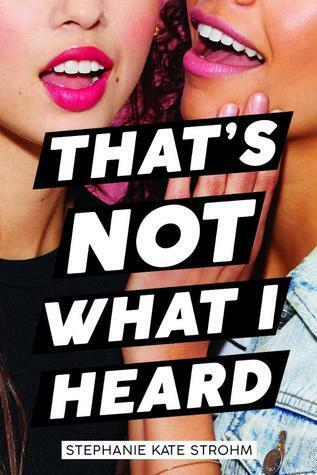 That’s Not What I Heard by Stephanie Kate Strohm comes out on January 29, 2019. You can preorder it now via Amazon!